The thirteenth episode of the rebooted Musica Pagani was aired on Sunday 25 August 2013 (click on the image to hear the broadcast). In this edition RevKess brought the listener two sets of thirteen. 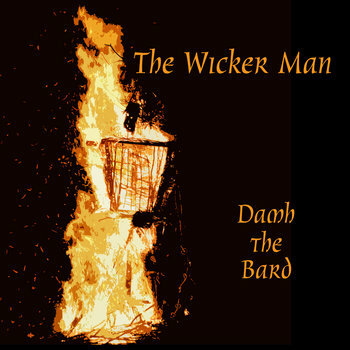 Thirteen New Age and instrumental pieces followed by thirteen Pagan and vocal pieces. In this edition RevKess also brings the listener some new music. Never before heard on Musica Pagani. Some of it has been in the waiting pile for some time, some of it is new to the Channel this summer. Listen and enjoy. You can find Musica Pagani on Facebook. The next edition of Musica Pagani, #14, is the last to be aired on a Sunday. Due to scheduling conflicts, RevKess and KaliSara (cohost on Pagan-Musings Podcast) have elected to flip the shows. 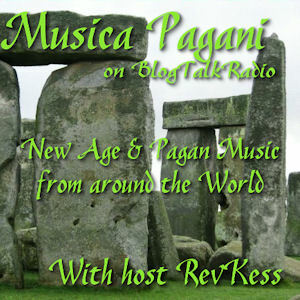 Starting on Saturday 7 September 2013 you can find Musica Pagani on the Pagan-Musings Podcast Channel at 7pm Central. Sunday the 8th starts the new day for Pagan-Musings Podcast, airing live at 7pm Central.